The group met on a chilly morning with the feel and smell of fall in the air. We started off at a snowmobile trailhead on Slush Pond Rd. 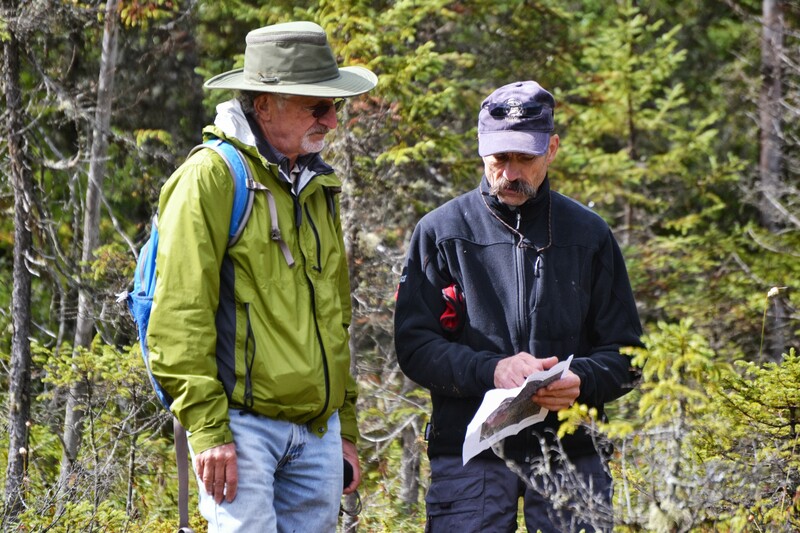 where we discussed the formation of kettle hole lakes following glaciation and the floating mats of Sphagnum moss that cover the lake surface. We were then to find out first hand why these mats are called “quaking” bogs as we ventured out onto the first of two kettle bogs along the trail. 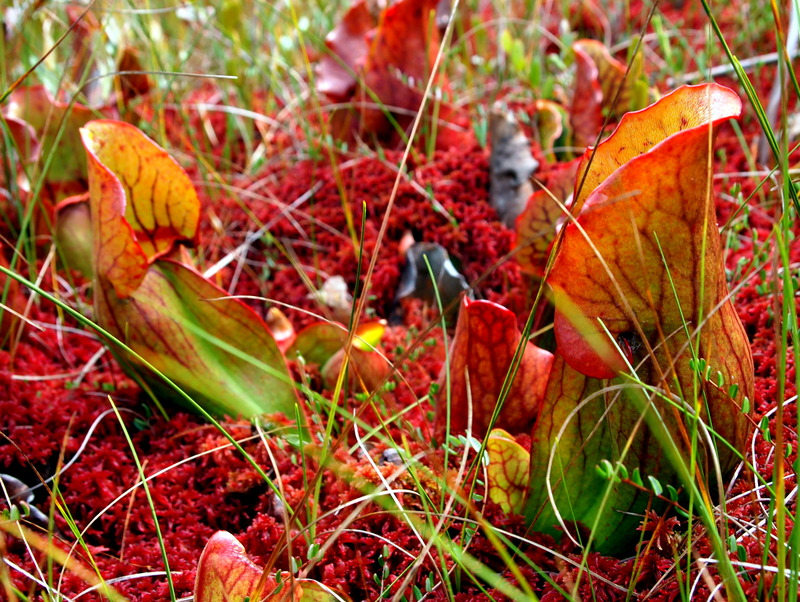 Once we passed the stunted trees and headed onto the Sphagnum lawn, we bounced lightly on the saturated mat which was a mixture of red peat moss, evergreen broad-leaved shrubs, pitcher plants, and sedges. Not only did the substrate beneath us give like a trampoline, but we could see the surrounding shrubs move up and down. A true quaking bog! We then ventured toward an area of open water. 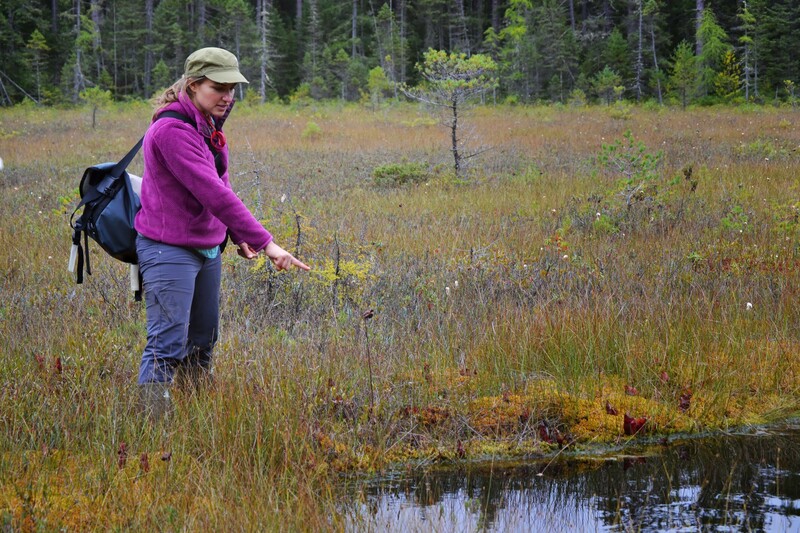 Here the bog mat was the thinnest and was surrounded by a yellow Sphagnum species in hummocks. The bottom of the kettle was obscured by flocculent organic matter suspended just below the water surface. We found several bog-obligate plants living in this acidic (~4 pH) and nutrient poor system including two carnivorous plants: northern pitcher plant, Sarracenia purpurea and sundew, Drosera rotundifolifa. 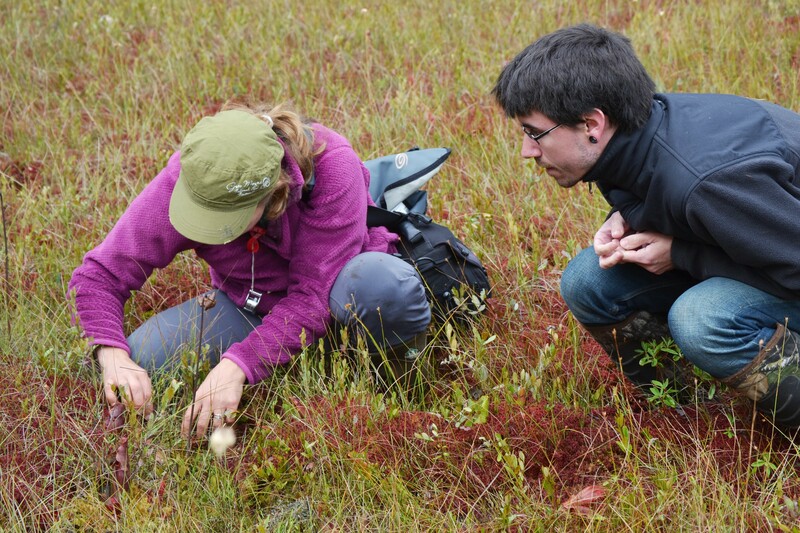 However, we had to look closely at the edges of moss hummocks to find sundew. 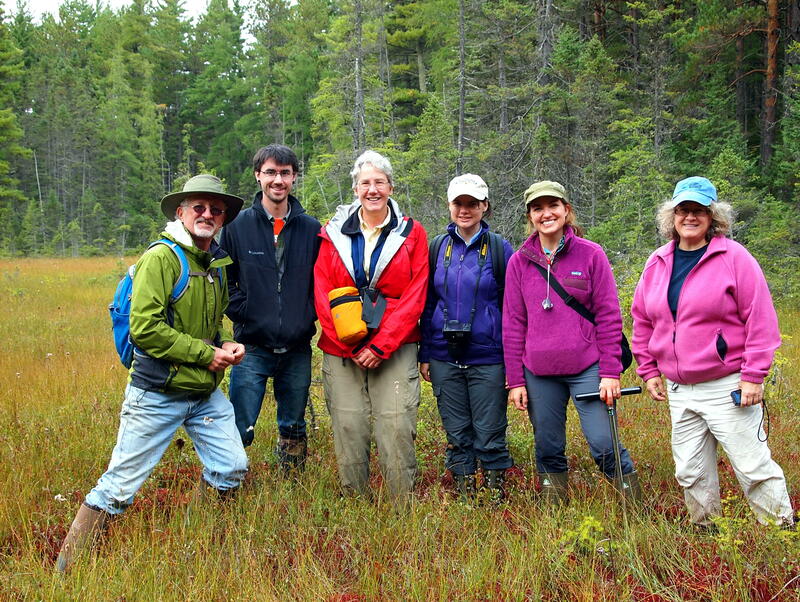 At least one sample of a Carex species was collected to identify at a later date. 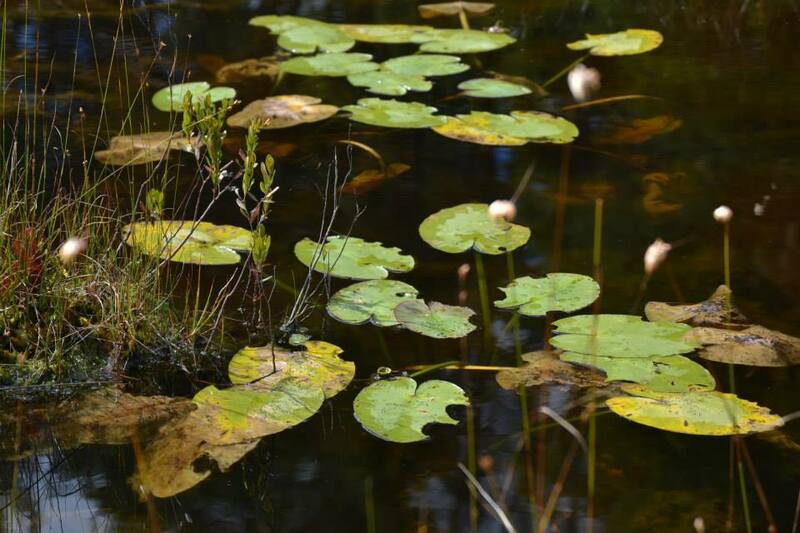 An intriguing feature of the quaking bog was the yellow water lily, Nuphar sp., growing in the largest open water area. Typically Nuphar is found in more nutrient-rich waters with higher pH; however, these plants were growing in suspended organic matter about a foot underneath the water surface at a pH of ~5. Later in the trip we also ventured over to the kettle bog on the left-hand side of the snowmobile trail. This bog had a watery moat surrounding it, which made it difficult to get onto the bog mat. Fortunately, no one fell through, and everyone came out onto the bog mat with a smile. Thank you to all the participants who shared their knowledge, enthusiasm, and curiosity during the outing! 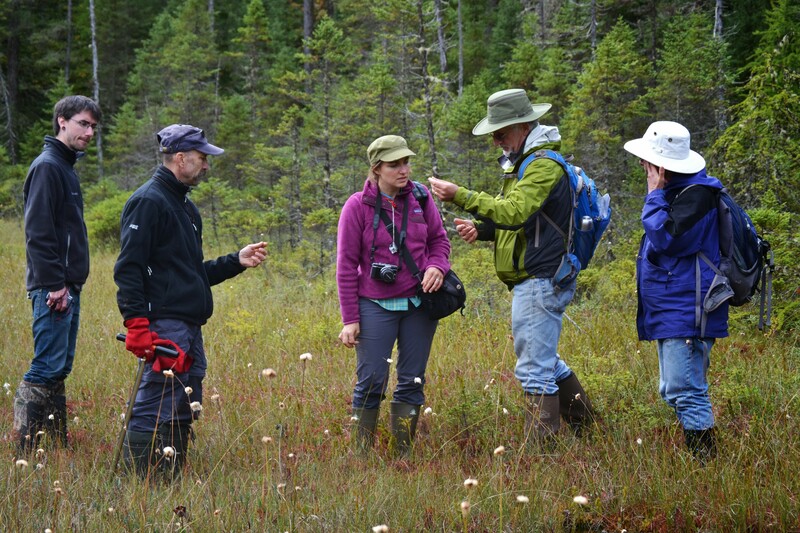 I am especially thankful to Beth Gardiner who captured the people and botanical aspects of the field trip beautifully. CLICK HERE to see the plant list for the day.